Residents of Migron in Samaria appeal to the court to cancel an expulsion order following the secret purchase of the land by a US donor. 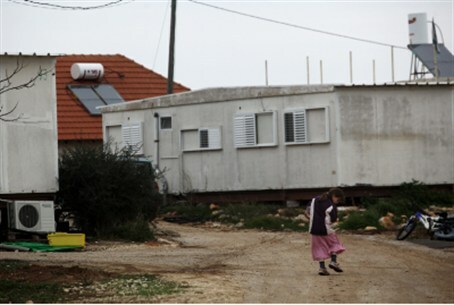 Residents of Migron in Samaria (Shomron) have appealed to the High Court to cancel an expulsion order following the secret purchase of most of the land by an American philanthropist. The land reportedly was bought last week from several Palestinian Authority owners through transactions financed by a U.S. donor, whose name has not been revealed. More than 50 families in Migron are under the threat of a court-ordered expulsion by the end of the month, with their homes to be relocated to nearby hilltop. The houses were built with government approval, but the High Court sided with Peace Now, which argued in its petition that there is no proof that the land had been legally purchased from Arabs, although the Arabs' alleged legal ownership never has been proven. The new appeal to the High Court stated that the justices will receive in a sealed envelope the documents proving the recent purchase. The use of a sealed envelope is necessary to protect the Arab sellers, whose lives would be at stake if their identity were known. The Palestinian Authority has affirmed a Jordanian law that calls for the death penalty to anyone who sells land to a Jew. The purchase of the land was so secret that many Migron residents did not know about it until it was reported in the media. The price of the transaction reportedly amounted to several hundred thousands of dollars.